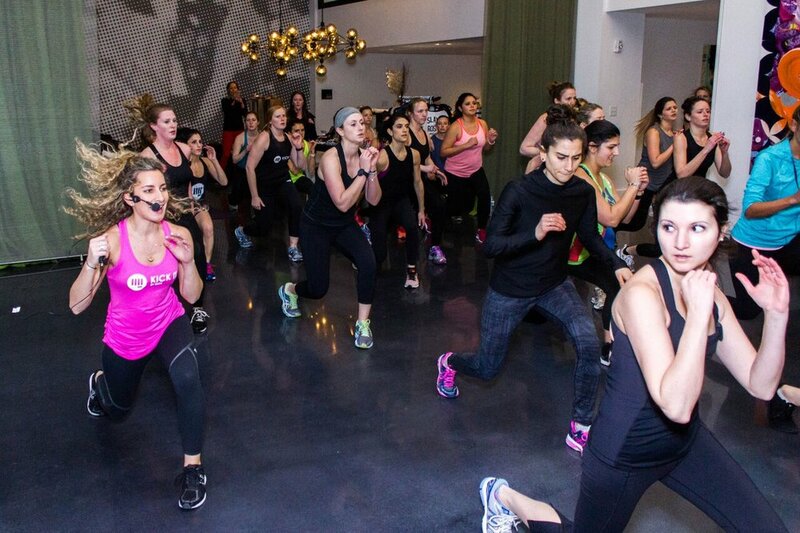 The Heart Rates for Heart Beats event was a blast! 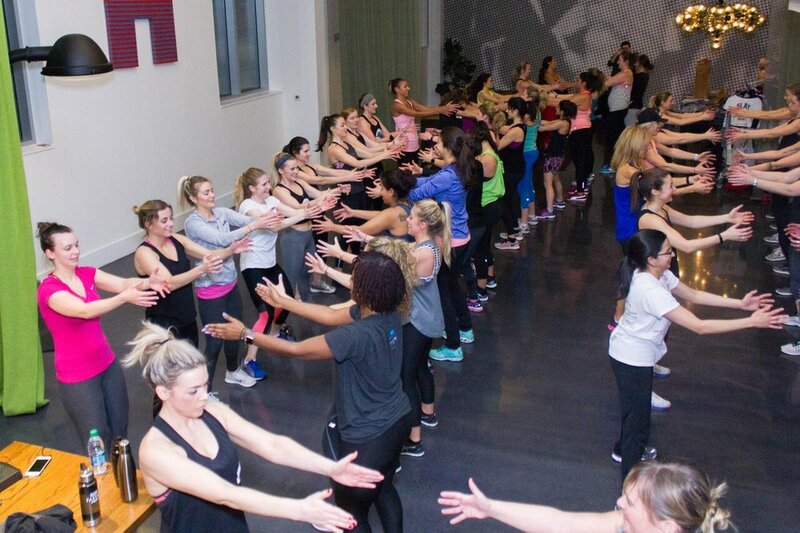 So grateful to the many women who came out to celebrate National Heart Month by participating in a Kickboxing-Barre inspired workout and girls night out to benefit the American Heart and Stroke Association. The turnout was as amazing as the energy that filled Ink Block last Thursday night. 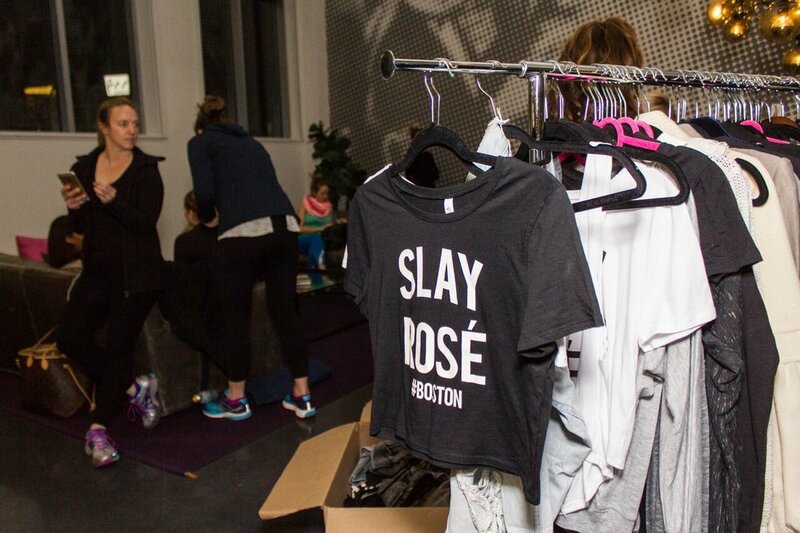 Thank you Ink Block for hosting us in your beautiful space that was just perfect for combining fitness and fun. I am truly touched by the support from the guests and the sponsors of the night including Gogarbaj, Organic Bath Company, Mother Juice, Inda Creations, and to Nick Cosky Photography for capturing the event. Thank you Fomo Prescription for helping to promote the evening! After suffering a stroke 4 years ago, I have been on a journey to promote awareness about knowing the signs and symptoms of stroke and to help educate people on the importance of embracing a healthy lifestyle. I am truly grateful to the amazing group that came together to support this important cause. Seeing Eliza in action you can understand why she is inspiring such a" Fempire " of followers! She is so positive and motivating, and her class is as challenging as it is empowering. I was so thrilled when we decided to partner for this event. Eliza has previously worked at the Cardiovascular Wellness Center at Brigham and Women's Hospital and has seen close up how devastated cardiovascular disease can be. I am so grateful to Eliza for helping me with this event and for being such a role model in the fitness community. Gogarbaj is the chicest consignment company I have ever seen, supplying customers with secondhand, up-cycled, sustainable clothing. Rachel is so passionate about her business and in educating about the negative impact that "fast fashion" is having on our environment. I highly recommended considering donating items for consignment and taking a minute to browse her amazing inventory! Gogarbaj also makes adorable custom t-shirts. If you know me, you know I have a slight obsession with crystals, so I was so excited when crystal healing jeweler INDA Creations joined the event. INDA curates fashion-forward styles for souls who wear their stories of trust, transformation, and perseverance as boldly as they live them. Channeling the healing powers of nature, INDA Creations works in partnership with one family-owned organic farm in Stockbridge, Vermont, whose natural herbs and flowers are featured in more than half of INDA Creations’ product line. Mother Juice and Java Jolt sugar scrub from Organic Bath Co. I am so beyond grateful to the founders of both these amazing companies for their generosity. Thank you so much Laura Baldini and Ellen Fitzgerald of Mother Juice for always fueling my events with your amazing juices. And thank you Gianne Doherty, foudner of Organic Bath Co. and the W.E.L.L Summit for this gift to our guests and for all that you do for the WELLness community. Thank you to this amazing group of women! All Images from Nick Cosky Photography. Video recap from FOMO Prescription.